The Chinese giant recently announced its brand partnership with the e-commerce retailer Flipkart, for the sale of its latest Vivo V5 Plus limited edition smartphone at INR 25,990. 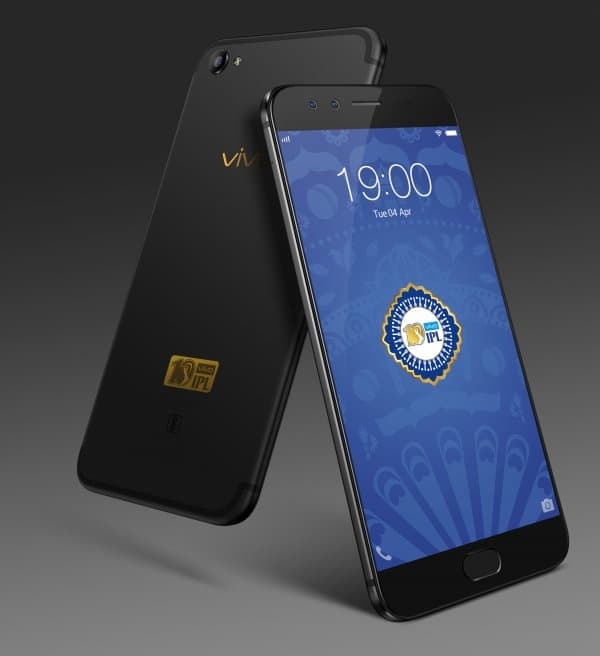 The limited edition of V5 Plus would retail via Flipkart stating April 10 with a dedicated cricket theme, which can be installed on other Vivo phones as well. It is launched to celebrate ten years of popular cricket series Indian Premier League (IPL). Offered in a special matte Black variant the device sports an 18-carat VIVO IPL logo engraved at the back. Being a chief IPL sponsor Vivo’s new device hopes to cater to a large number of cricket enthusiasts in the country via the use of exclusive online market. The smartphone deviates little on specifications from the original V5 Plus, offering dual-front camera with a 20 MP primary Sony IMX376 1/2.78-inch sensor, an f/2.0 aperture, a 5P lens system along with an 8 MP secondary sensor. On the rear, it features a 16 MP snapper with LED flash. There is a provision of 5.5-inch full HD (1920 x 1080p) IPS display. Powered by a 2.0 GHz Octa-core Snapdragon 625 SoC it is paired with 4 GB of RAM and 64 GB of in-built storage. The smartphone runs on the company’s custom UI, Funtouch OS 3.0, based on top of Android 6.0 Marshmallow. The dual-SIM device is backed up by an 3055 mAh battery with connectivity options as 4G LTE, Wi-Fi 802.11, Bluetooth 4.0, GPS, and more.